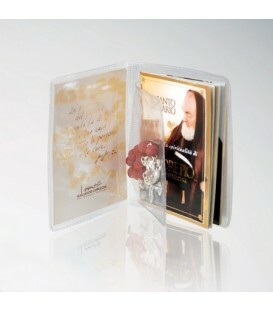 Two pouch pockets, avoriata Watercolour paper, enveloped. 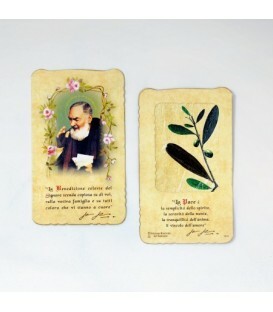 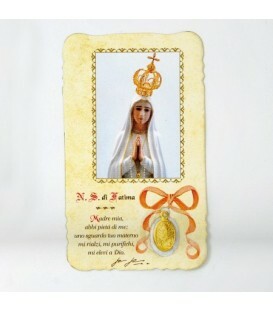 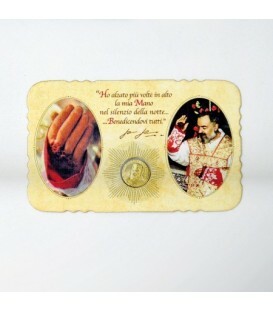 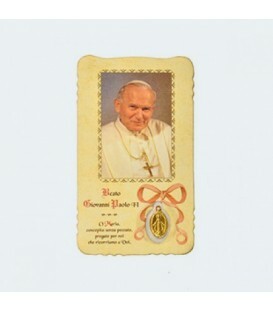 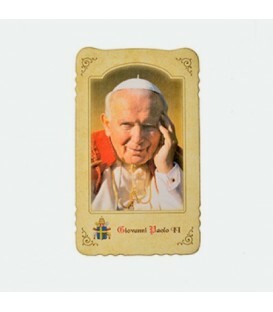 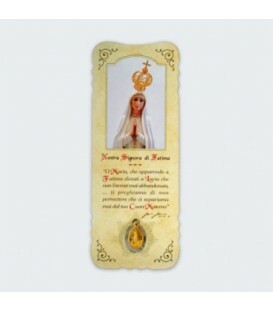 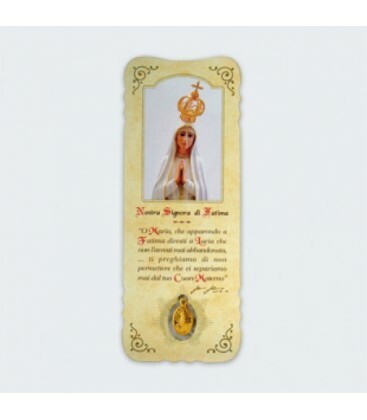 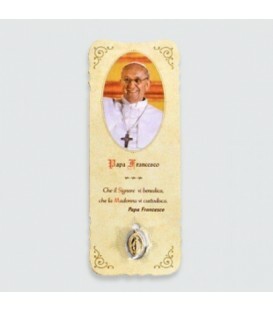 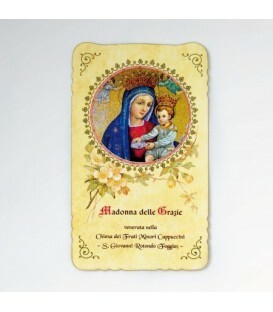 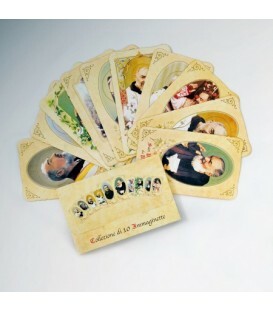 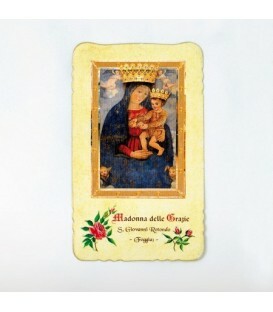 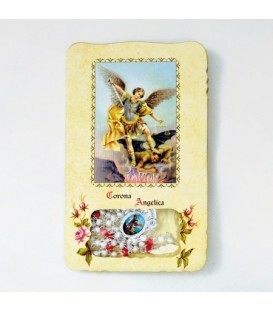 Process-color printing image of Pope Francesco and die cut with gilded edge and, on the back, lauretan litanies. 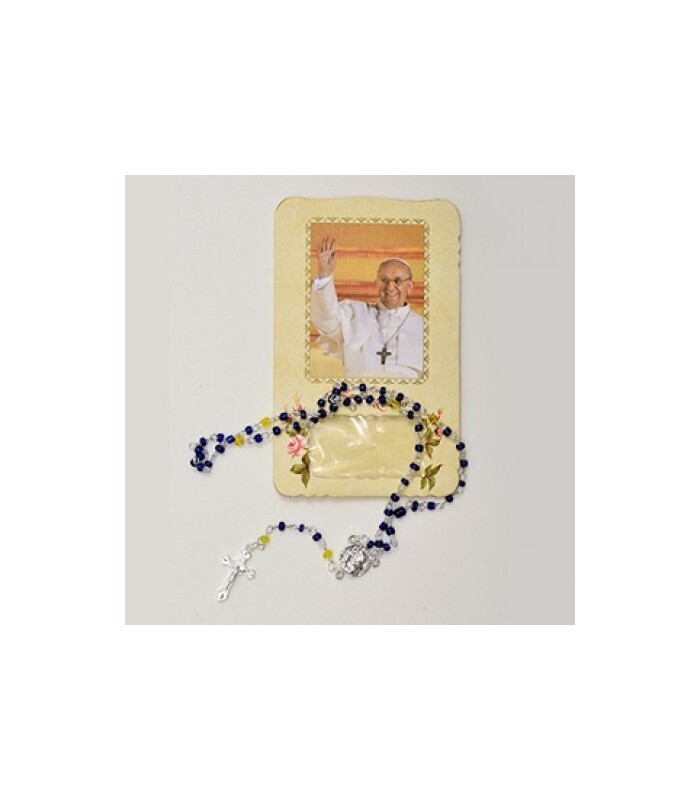 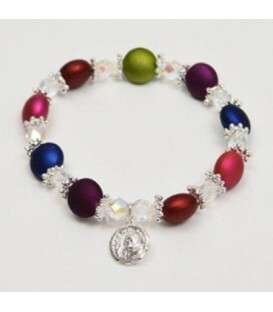 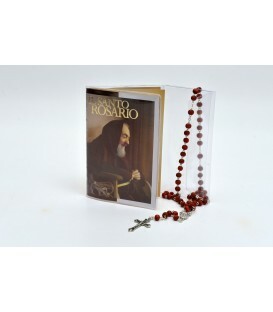 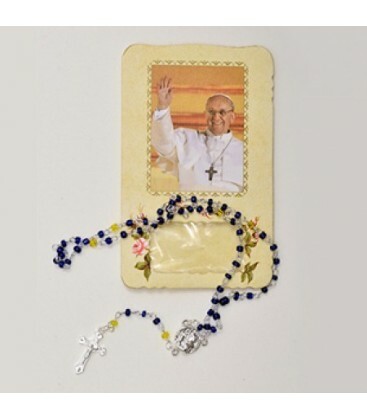 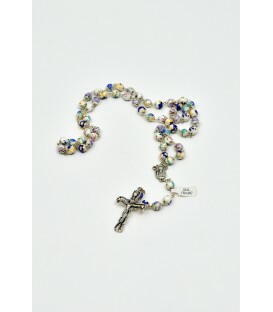 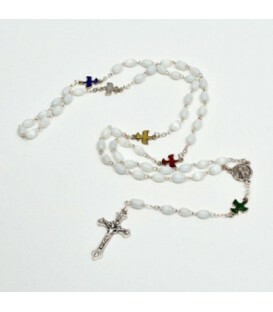 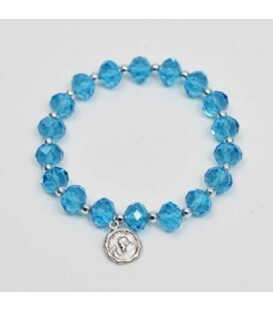 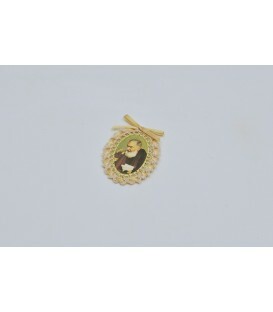 Enameled glass Rosary with smooth round grains and tying in silver plated metal. 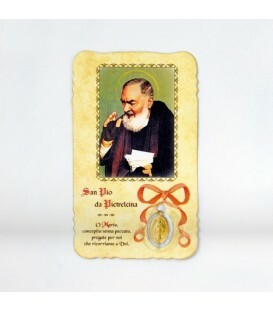 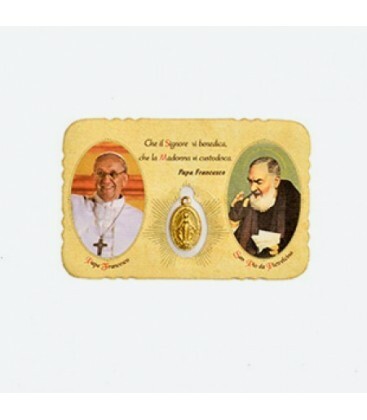 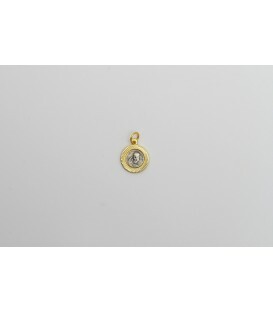 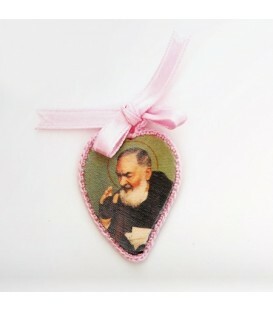 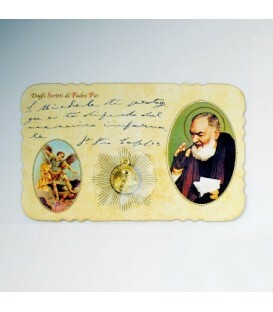 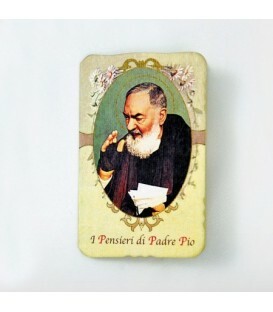 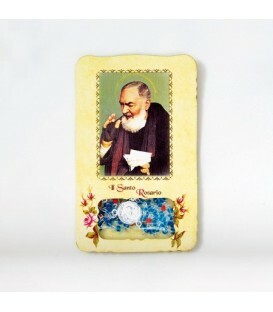 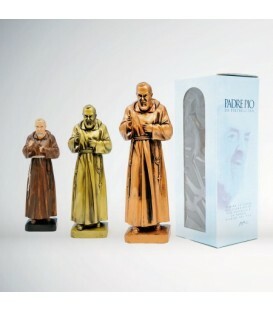 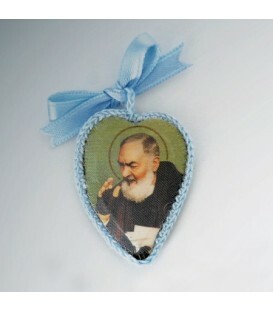 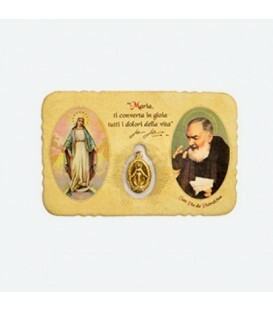 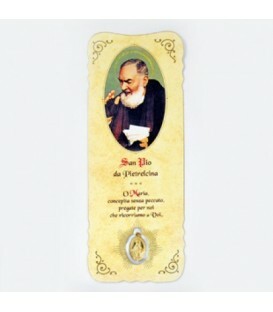 Coin with relief picture depicting Padre Pio and, on the back, the Madonna delle Grazie.